Men's Extreme Cold Waterproof Gloves - L or XL Just $6.99! Ships FREE! You are here: Home / Great Deals / Christmas Deals / Mens Extreme Cold Waterproof Gloves – L or XL Just $6.99! Ships FREE! Mens Extreme Cold Waterproof Gloves – L or XL Just $6.99! Ships FREE! 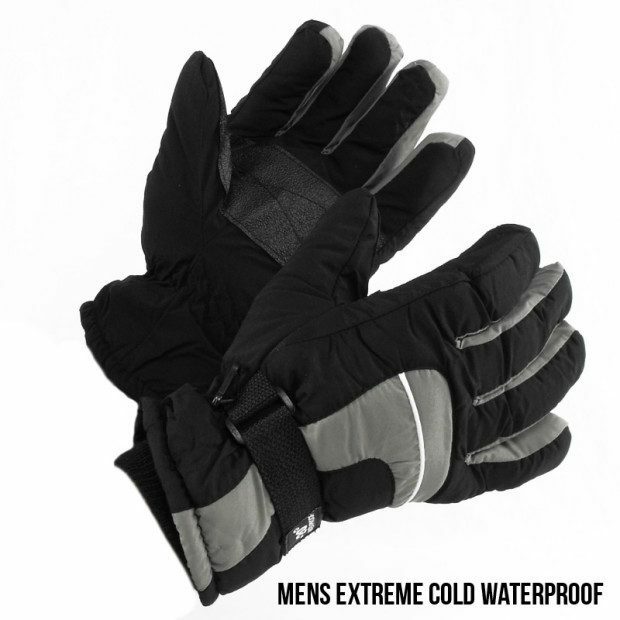 Order the Mens Extreme Cold Waterproof Gloves – L or XL Just $6.99! Ships FREE! Cold weather is just around the corner. Stay warm and protected with these Men’s Extreme Cold Waterproof Gloves. Available in large or Extra Large these gloves are waterproof, fleece lined, have a faux leather palm grip and knit extension at the wrist. Will come randomly in one of the 2 pictured styles!